Thanks to all who joined me at the Art In The Pearl Stage! The AIP Stage featured great performers ALL WEEKEND. Portland City Limits. "Great Voices. No Limits." I sat in with Halelupe & Friends, and was joined by Kathryn Claire before her set! To see Nathaniel Talbot and I at O'Connor's Vault in Portland! Visit us both on Facebook for fan pics and video clips. to see Pat Hull and I! Thanks to everyone who came to the Nathaniel Talbot & Lincoln Crockett Houseconcert in Trout Lake! Nathaniel Talbot is an incredible picker and one of my favorite songwriters. Check him out now! It was great to get to share music with him and all of you that evening! This year I didn't go staff Sister's Songcamp. Be my FB friend and go here to see why! I joined Mo Phillips as a member of his band to rock out and rasie money in support of the Cystic Fibrosis Foundation. As many of you know, my son has Cystic Fibrosis, a genetic condition that thickens mucus in his body. His mother and I are grateful for everyone who came and had a good time for a cause. Rita Hosking In Concert with Lincoln Crockett at O'Connor's Vault in Portland! Here we are warming up for a 2013 show! Thanks to everyone who came to "Fourteen Dangerous Strings" Saturday, February 28! Jim and I enjoyed deconstructing the musical harmony and density I've deliberately worked into songs throughout my career, from Cross-eyed Rosie to the present. The atmosphere was loose jazz club, and you were the beatniks. It was a joy to tease apart the music with you all! Thanks for your generous sponsorhip, Paperjam Press! Here are Jim & I playing "Glory Halelujah" from PLAY IN THE YARD. Honored to have played the Doverlaff House Concerts Series with Beth Wood! Thank you to everyone who came and enjoyed my 2 Performances in December! Thanks to everyone who came out. It really was a special evening, and we all agreed to do it again someday. No, really, not just a disingenuous thing that west coast people say to each other, we meant it! Sign on the email list and I'll be sure to let you know when it happens. We had a great time kicking off Matt Meighan's week-long residency at Al's Den in Portland! Matt & I were joined by songwriter and spiritual friend Halelupe. I love both these guys and enjoyed sharing the evening with everybody! I was honored to play a set of music at Healing For Thomas, Saturday May 17. Put together by a senior here in Trout Lake, this evening of music, a silent auction and prizes raised more than $17,000 to benefit Thomas Wilson, a former community member from West Africa paralyzed in a 2013 farming accident. Visit http://www.gofundme.com/Healing-For-Thomas to see the video about how the incident impacted Thomas, his family, and their faith in God. "Where Are You Now" Available NOW! Three years ago on Valentines Day my family lost our newborn son Joseph Phoenix Crockett. We call him Josephoenix. This year I recorded a song I wrote for him, "Where Are You Now", and it is exclusively available through UseMusic.org to benefit The Dougy Center and their work with children, teens and adults grieving a death. Its one of the many gifts Joseph left behind in his brief life. It features performances and voices from many of the same friends and neighbors who bouyed us when this all first happened. Please visit the song, make a donation, and share it with others. Download "Where Are You Now"
Photo courtesy of Brigett Eisele and Now I Lay Me Down To Sleep. Saturday March 22 at The Alberta St Pub! A Mile To Go opened the evening. I joined them for their final song. They covered my tune "Where Are You Now"! Fun! Thanks to everyone who came, dance and had a great evening with us all! Visit the new Cross-eyed Rosie FB page for pics of the Dec 14, 2013 return show! New Song 'Slow Train To Everywhere'! New Song 'Forgiveness'! Music Co-written with Nicolas Miranda. New clip of 'Sawdust Settler' from Sisters Songcamp 2013! This is my online home for music, the place to check for shows near you or your friends, sign on the email list, listen to and purchase music, learn more about the healing I do and keep in touch in the guestbook. Lately, I've been setting aside time to grow my healing practice, teach music, and be with family, but I will pop my head out from time to time - like 7/12, 8/31, 11/7 & 11/9 - so go check the calendar! In the meantime, I'm letting the player roll at the bottom of your screen, you can enjoy my clips and performances on YouTube, iTunes never runs out of virtual stock, and cd's are still available through the great folks at CD Baby. I've also had some fun recording cool stock music clips with Tom Frisch you can hear at Pond5. If you're new to my music, take a few minutes and discover why I've been fortunate enough to make a living doing what I love. As always, you are the best people to play music for, I appreciate your support, and I'm grateful for every chance I get to share music with you. Take good care and enjoy the music! 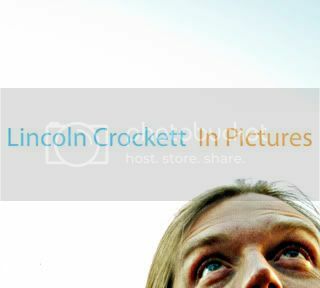 Podcast of Lincoln Crockett Live Performance on "Hello Cruel World" is now available. Here's a chance for me to play for you live no matter where you are! "Hello Cruel World" is an acoustic music show featuring conversations and in-studio performances from singer/songwriters local & national. Hosted by John B. Jones & Jim McKeon joined me on guitar for part of my set as well! In this show from March 30, 2013 get to share with you where the song Psychopaths came from, and what makes recording albums like Angels & Devils Alike unlike any other. We also had a fun conversations about energy work, songwriting, psychotherapy and I capped it of with a new song for you on Ukelele, "I Love You (Thank You)". "Hello Cruel World" is a great eye into songwriters and musicians. Check out previous podcasts with other Portland area musicians and compatriots like Matt Meighan, Mike Midlo, Brad Creel, Stephanie Schneiderman and many more! on February 18th, 2012 at the Old Church in Portland a success! Proceeds from the show went directly to support the work of Grief Watch and The Dougy Center. Both organizations are priceless resources for people and families dealing with grief and loss. Most of us already have - and all of us will - lose loved ones. The impact of supportive groups like these cannot be understated. Chris Kokesh was a fantastic special guest opener for the evening's concert, and LJ Booth graciously joined us to share a song as well. Lincoln Crockett & Enemies headlined the event - featuring Jim McKeon on guitar, Peter Schwimmer on banjo & mandolin, Tyler Smith on bass, Andy Love on drums, and introducing Jeff Baxter on keys. Jeff was able to master the venue's resident church organ for the end of the evening. Before my sabbatical last year I holed up with “Angels & Devils Alike” engineer Tom Frisch to record “In Pictures”. The album captures eleven solo performances on guitars, mandolin, even a banjo. Featuring previously unrecorded live favorites, rarities and new songs! Includes "Sight Of Love", "Takin' A Break", "Ya Gotta Know" and "Summerbird". Originally released on my birthday in 2010 as download-only, on 2/26/11 at The Woods in Portland I triumphantly unveiled – ta da – PHYSICAL COPIES. Enjoy, Amercia. I originally intended to spend a weekend in a cabin together and record a few tracks worthy of a booking demo. Instead, this album captures ten tracks, each one a first take, never repeated! You've never heard these songs like this before! 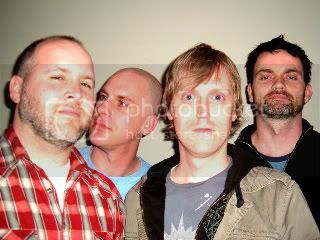 Features the core of PDX Fusion band THE ROCKTET, a power trio we dubbed SPB: Tyler Smith on bass, Jim McKeon on Guitar and Andrew Love on drums. Together we expanded the limits of what these songs can do in a live performance. Songs include electric translations of "When Will You Come Home", Cross-eyed Rosie's "Moonbeams & Kerosene", and a 9+ minute send-up of "Nothing Makes Me Feel Good"! The album is bookended by a solo acoustic performance of two live favorites: one of the first songs I ever wrote on mandolin, "New Day", and popular torcher "Glory Halelujah" the way it was meant to be played, in a jazz and soul inflected duo performance with Jim McKeon. My unofficial, accidental fraternity, SPB. Don't ask, really. Lincoln Crockett is the real deal, a talented performer singing standout originals on mandolin & guitar, all while playing leads, rhythms and chords all at the same time. He holds audiences’ attention with the expansiveness in his voice and his ability to move a mountain of music through his instruments. Crockett has a style all his own he sometimes calls "progfolk". He twists jazz, bluegrass, prog-rock and folk into an affecting set of wry soul-searching with uplifting spiritual flavor specific to no genre. The combined effect has garnered Crockett respect from within the music community in the Pacific Northwest, the reputation of being a 'musician's musician' and devoted audience support. 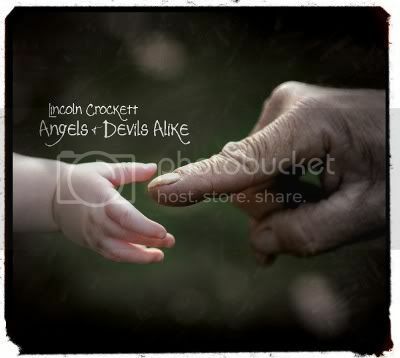 Crockett is also a gifted, trained and experienced energy healer with a private practice serving clients in the United States and Australia (www.lincolncrockettenergy.com). During sessions he works at a distance to charge, balance, clear and restructure clients' energy fields to improve their physical, mental, emotional and spiritual health and well-being. Sensitive to energies from a very young age, music became an expressive tool for bridging the gap between the world he could see and the world he could feel. His songs are often derived directly from his own personal healing process, and have gone on to touch a deep chord with thousands of listeners. 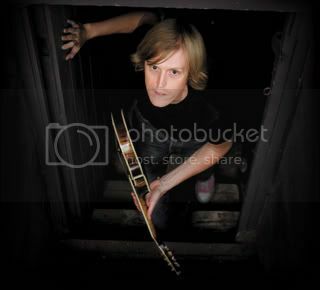 Crockett cut his chops as singer, songwriter and mandolin player for progressive bluegrass funhouse Cross-eyed Rosie, and helped turn this popular Portland, Oregon five-piece into the Northwest's premier group of its kind. On hiatus since 2008, CER remains popular, and when the band appeared at The Laurelthirst Pub in Portland on 9/11/10 the show was standing room only. Crockett was already making a living performing before his first album, but solo career began in earnest with the 2007 release of his full-length debut “Angels & Devils Alike”. The Oregonian said it “radiates all that's good about the progressive side of bluegrass”, while the Willamette Week called it “gorgeous”. Crockett quickly became a quiet regional road-warrior, always staying close to home to help raise his then-young son. “Angels & Devils Alike” eventually sold more than 1000 copies out of the back of his car and through CD Baby, almost exclusively in the Pacific Northwest. Crockett has performed everywhere from national festival stages to theaters, clubs, bars, coffeehouses and houseconcerts. He has collaborated on stages and in studios with artists as various as Tony Furtado, Beth Wood, Amber Rubarth, Scott Law, Johnsmith, Jackstraw, Ellis, Marv & Rindy Ross, Hanz Araki, Leela Grace, Mike Midlo (of Pancake Breakfast), Nathaniel Talbot, Jeffrey Martin, Will West, Mo Phillips, and LJ Booth. He and Chris Kokesh - the award-winning singer/songwriter/multi-instrumentalist much-beloved for her work with songwriter Jonathan Byrd and nationally-recognized folk group Misty River - have also performed regularly as a duo. Since 2009 Crockett has been on staff at the Sister’s Folk Festival and the festival's Americana Songwriting and Arts Academy. In 2012 Crockett produced "Long Way Round", the long-awaited studio debut disk from Portland folk songwriting guru Matt Meighan. Also in 2012, following the infant loss of his second son, Crockett and his wife Alicia organized the Josephoenix Memorial Benefit Concert to support the work of Grief Watch and The Dougy Center, raising over $2500. Crockett has performed numerous times to benefit Sister's Of The Road, and his most popular song, "Sawdust Settler" has been used to benefit nonprofits like the Salmon Nation Artists Project, Bark, and the Columbia Equine Hospital. His songs can be found on Pandora, and he has been played, interviewed and performed on Portland’s KINK FM, Tom May's "River City Folk", as well as programs and podcasts on KBOO, KZME, KMUZ and more. 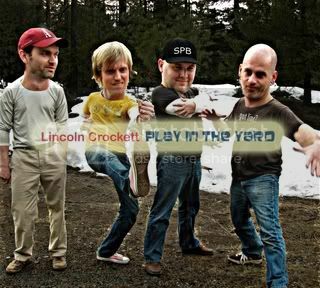 Eventually, needing a break from touring, Crockett released a disk of solo performances, “In Pictures”, and a live disk with his electric band, “Play In The Yard”, before announcing an extended sabbatical. Since his return, Crockett has continued performing only occasionally, dividing his time between his energy healing practice, his family life, and giving a handful of private lessons. Crockett currently lives in a tiny dairy valley at the foot of Mt Adams in Washington State, USA, and enjoys playing old-time fiddle tunes and amped-up campfire songs with his neighbors. Stairwell and "Angel's & Devil's Alike" Cover Photos copyright 2007 John Fenger; Header Portrait by Luke Brown; Content ©2019 Lincoln Crockett; Site design is a template from the fine, fine folks at Hostbaby.com.